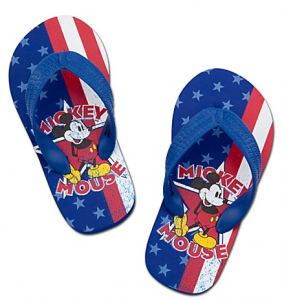 Through Wednesday, 6/29, you can get an additional 20% off on Disney Parks Merchandise. The discount works on already reduced items as well. Like the girls nightshirts for only $7.99 after discount code (org $14.99). Or kids flip flops for only $2.39 after discount (reg $6.50). Use coupon code: PARK20 at check out. You can also earn 5% cash back at ShopatHome!